This website is being renovated - some links may not work at this time. The Virgil Observatory is a new, remotely controlled observatory in central New York state, about twenty miles east of Ithaca, NY. The observatory, located in a light-pollution-free rural neighborhood at an elevation of 1400 feet, sees about 90% of the sky. The view is unrestricted down to some 25 degrees above the horizon. It's no longer possible to read a newspaper "under the stars." 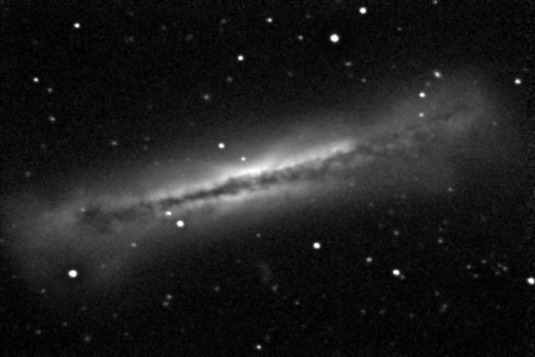 A 30-second exposure with an unfiltered, cooled CCD camera reaches 18th magnitude. On this site, you can see some of the interesting pictures and other research results obtained at the Virgil Observatory. In June 2017, the family moved from Washington DC and BrightSkies Observatory to this dark sky site in central New York. We renamed the new observatory to reflect the name of the village we live nearest to.